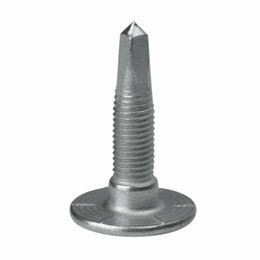 Color: Natural Material: Steel Length Stud: 1.860" Made in the U.S.A. Packaging: 24 per pack Specific Application: No Style: Carbide Model: Race Type: Stud Thread Size: 5/16" Please note: Image displayed is representative of the item, but may vary depending upon your specific model. 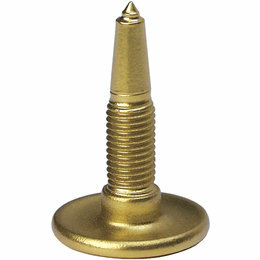 Color: Gold Length Studs: .875" Made in the U.S.A. Material: Steel Model: Gold Digger 60 Degree Traction Master Specific Application: No Style: Carbide Thread Size: 5/16" Type: Stud Packing: 96 Signature Series is high-corrosion-resistant, allowing for use in rigorous environments 60 degree carbide point for superb penetration and durability One-Piece stud/head is resistant to impact even at extreme variations Please note: Image displayed is representative of the item, but may vary depending upon your specific model. 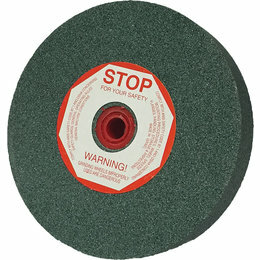 Will Sharpen carbides while on the ski Not for general grinding and follow manufactures safety instructions on grinder Please note: Image displayed is representative of the item, but may vary depending upon your specific model. 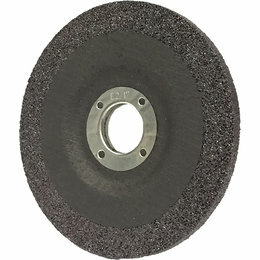 A special grade wheel designed for both studs and carbides Maintain sharp edges and points or alter stud point angles Please note: Image displayed is representative of the item, but may vary depending upon your specific model. 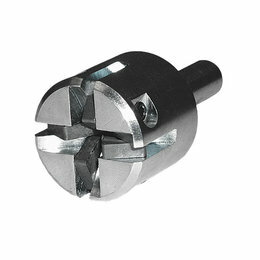 Easy to use way to sharpen studs Fits 3/8" drill Sharpens in 30 degree angle Please note: Image displayed is representative of the item, but may vary depending upon your specific model. 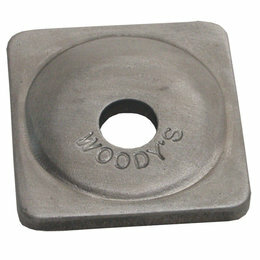 Woody's T-Nuts required for proper installation Packaging: 48-Pack 30 Degree point and narrow profile penetrates the hardest ice Perfect design for speed runs, drag racing, and high speed ice applications Should be used in a combination with another competition stud for optimum results Please note: Image displayed is representative of the item, but may vary depending upon your specific model. 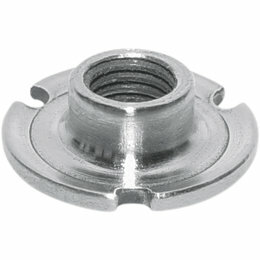 Combines the advantage of stainless steel with performance proven designs at the competitve price High Corrosion resistance allows use of these studs in rigorous environments 60 carbide tip insures reliable grip on the trail Please note: Image displayed is representative of the item, but may vary depending upon your specific model. 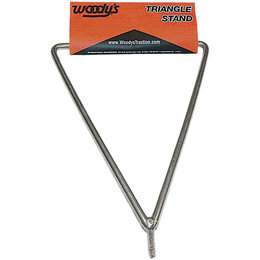 Angled support plates are built for function and durability Angled oblong dome for easier and faster penetration 7 degree angle for more rigidity for added support Please note: Image displayed is representative of the item, but may vary depending upon your specific model. 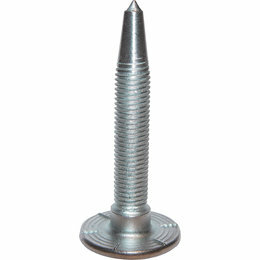 Strong and thick steel for tighter thread tolerance 15/16" Head, standard barrel and is available in both 7mm and 1/4-20 threads Please note: Image displayed is representative of the item, but may vary depending upon your specific model. 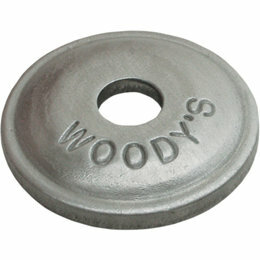 Color: Natural Material: Aluminum (.118" Thick) Made in the U.S.A. Model: Digger Packaging: 96 Specific Application: No Style: Round Thread Size: 5/16", 7mm Type: Support Plate Please Note: Image displayed is representative of the item, but may vary depending upon your specific model. 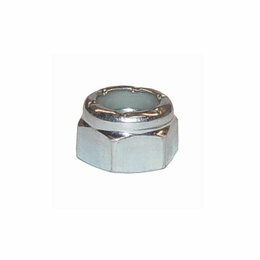 Lower profile nuts for shorter length studs Nylon insert to help keep studs from loosening Made from high quality Aircraft grade steel Please note: Image displayed is representative of the item, but may vary depending upon your specific model. 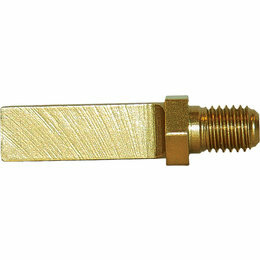 Color: Natural Length (Studs): 1.575" Made in the U.S.A. Material: Steel Model: Trigger Packaging: 48 Specific Application: No Style: Ice Thread Size: 5/16" Type: Stud The necessary ammunition for lake racers The Trigger has a long and narrow profile providing you with unmatchable penetration 60 degree carbide tip and 5/16" shank and 15/16" head make it durable enough for any lake conditions you find Please note: Image displayed is representative of the item, but may vary depending upon your specific model. Color: Natural Length (Studs): 1.175" Made in the U.S.A. Material: Steel Model: Mega-Bite Packaging: 24 Specific Application: No Style: Carbide Thread Size: 5/16" Type: Stud Unique, multidirectional stud has four flat surfaces on the 5/16" shank Added contact surface enhances acceleration and deceleration Zinc-coated hardened steel with 60 degree carbide tip Please note: Image displayed is representative of the item, but may vary depending upon your specific model. 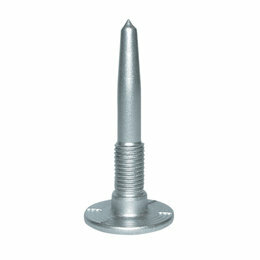 Color: Natural Length (Studs): 1.45" Made in the U.S.A. Material: Steel Model: Mega-Bite Packaging: 96 Specific Application: No Style: Carbide Thread Size: 5/16" Type: Stud Unique, multidirectional stud has four flat surfaces on the 5/16" shank Added contact surface enhances acceleration and deceleration Zinc-coated hardened steel with 60 degree carbide tip Please note: Image displayed is representative of the item, but may vary depending upon your specific model. 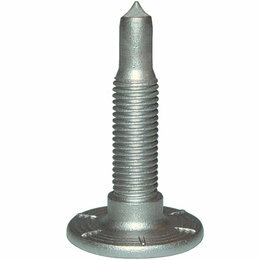 Color: Natural Length (Studs): 1.45" Made in the U.S.A. Material: Steel Model: Mega-Bite Packaging: 24 Specific Application: No Style: Carbide Thread Size: 5/16" Type: Stud Unique, multidirectional stud has four flat surfaces on the 5/16" shank Added contact surface enhances acceleration and deceleration Zinc-coated hardened steel with 60 degree carbide tip Please note: Image displayed is representative of the item, but may vary depending upon your specific model. 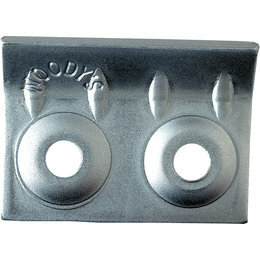 Color: Natural Length (Studs): 1.45" Made in the U.S.A. Material: Steel Model: Mega-Bite Packaging: 144 Specific Application: No Style: Carbide Thread Size: 5/16" Type: Stud Unique, multidirectional stud has four flat surfaces on the 5/16" shank Added contact surface enhances acceleration and deceleration Zinc-coated hardened steel with 60 degree carbide tip Please note: Image displayed is representative of the item, but may vary depending upon your specific model.